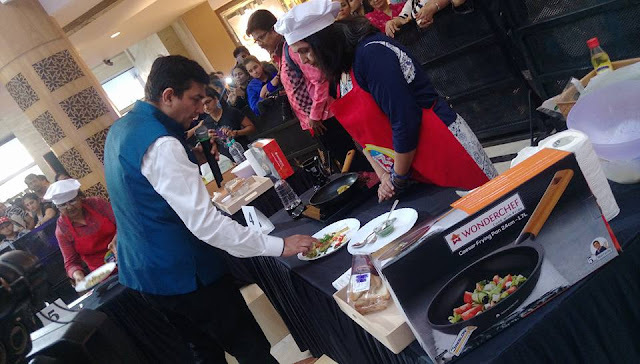 Mumbai 23rd January 2017: Wonderchef, the leading Kitchen Appliances and Cookware Brand, in association with Inorbit Malls, organized one of the most awaited LIVE cooking competitions on ‘innovative and healthy cooking”. 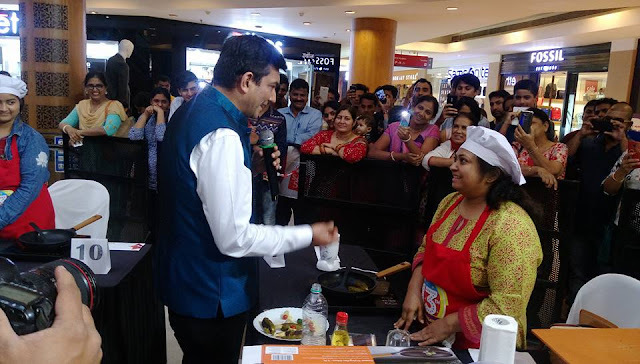 Chef Sanjeev Kapoor was the judge in discovering the real Wonderchef amongst thousands of participants. The one-of-its kind competition was designed to provide a platform to amateur chefs to showcase their culinary talent. 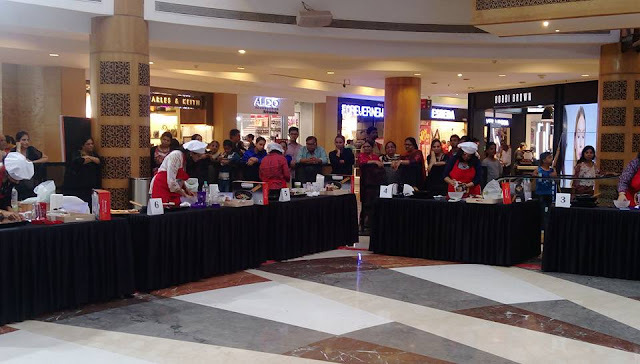 The competition witnessed participation of thousands of enthusiastic and budding chefs. 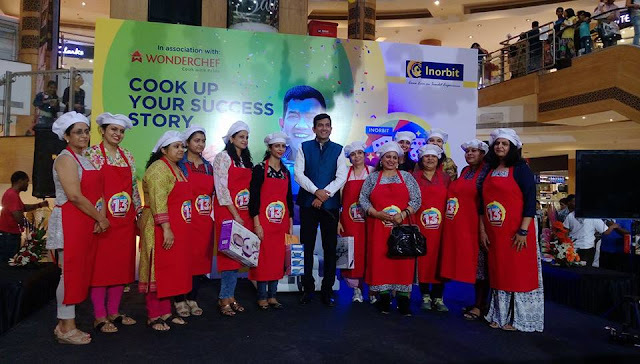 Over a 100 recipe ideas were shortlisted and the final 13 were selected for LIVE Cooking Demo with Wonderchef Cookware & Appliances at In Orbit Mall, Malad, Mumbai. 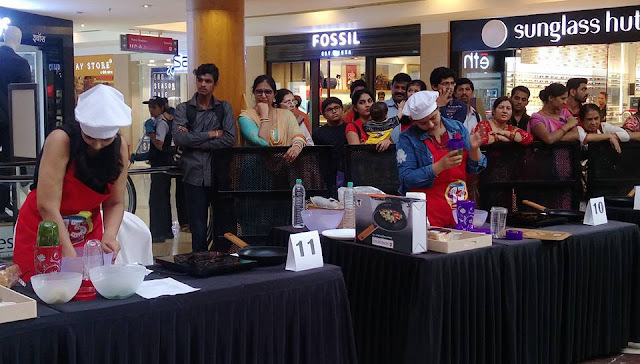 The Live show had a huge audience straining to see wonderful cookware married with innovative recipes. 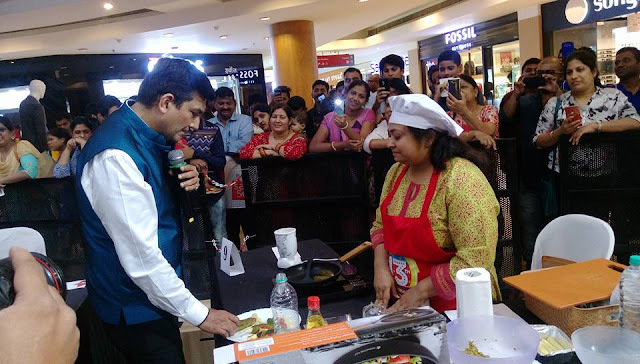 During the event, the audience also got an opportunity to interact with Chef Sanjeev Kapoor. 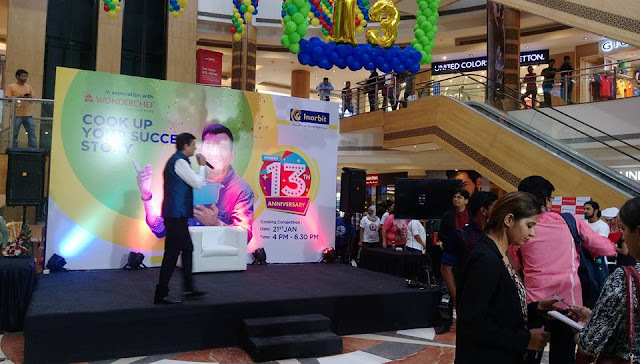 “Best Customer” prizes were given at Partner outlets of Hypercity and Homestop. 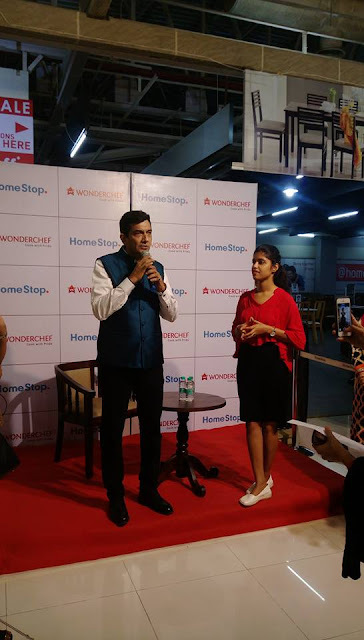 Speaking on the occasion, Mr. Ramesh Menon, Chief Executive Officer, HyperCITY Retail (India) Ltd. Said “As part of our endeavor to enhance customer experience in our stores, we are pleased to be associated with Wonderchef for the "Meet and Greet" initiative with culinary veteran Sanjeev Kapoor. This is a part of our overall endeavor to offer a wide range of gastronomic experiences to our customers which has only helped cement our reputation as one of the cities favorite foodie destination”. 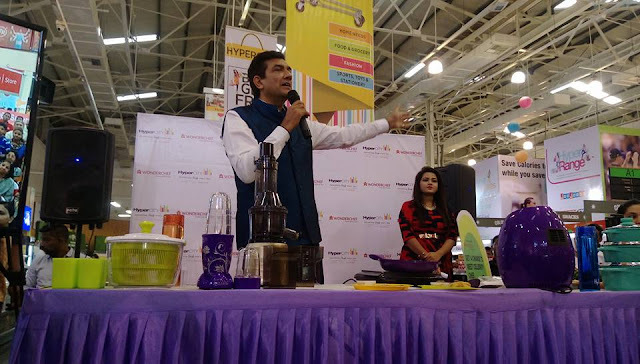 Chef Sanjeev Kapoor interacted with audience and said that whenever we are cooking keep in mind that whatever appliances you are using should be of high grade material, should have passed all the quality standards and should maintain the freshness of ingredients while to serve. Food should healthy and cook in less oil and give you energy. Homestop, the largest trade partner of Wonderchef has been growing this association at a fast pace too. Homestop has helped Wonderchef build a robust model around its premium offers like Ceramide Casserole Set, Caesar die-cast pans, Stainless Steel pressure cookers and Air Fryers. The Event had been doing the rounds in Social Media and has earned a huge fan following for the New Age Home Appliances & Cookware Brand. Whether you are a foodie, an aspirant or an enthusiast in food and culinary space, it was the perfect moment to witness some magic being served on plate! Wonderchef Kitchenware was born out of the ‘love of cooking’. Driven by passion of making Kitchen the Centre of wellness and goodness in homes, Wonderchef was created by two enthusiasts, Ravi Saxena and Chef Sanjeev Kapoor. They believed in kitchen being the 'heart of our homes', as it inspires us every day to create lasting memories with the food we cook for our loved ones. Wonderchef products are used in millions of homes in India where healthy and convenient cooking is a part of lifestyle. These premium cookware and appliances are a pleasure to use, innovative, have attractive colors and designs, and adhere to uncompromising standards of quality. The ultra-stylish cook ’n’ serve casseroles, designer non-stick pans with health-friendly 5-layer coating, cold press juicers and super tandoors have been specially designed by Chef Sanjeev Kapoor to meet the fine taste of India’s discerning consumers, who now want the best. Wonderchef constantly endeavors to create modern solutions for today’s woman, thus making it the ‘most loved Kitchenware Company' in India.